The 24th Infantry Division was an infantry division of the United States Army. 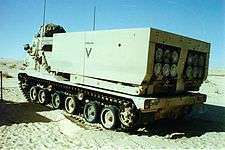 It was inactivated in October 1996, it was based at Fort Stewart, Georgia and later reactivated at Fort Riley, Kansas. Formed during World War II from the disbanding Hawaiian Division, the division saw action throughout the Pacific theater, first fighting in New Guinea before landing on the Philippine islands of Leyte and Luzon, driving Japanese forces from them. Following the end of the war, the division participated in occupation duties in Japan, and was the first division to respond at the outbreak of the Korean War. For the first 18 months of the war, the division was heavily engaged on the front lines with North Korean and Chinese forces, suffering over 10,000 casualties. It was withdrawn from the front lines to the reserve force for the remainder of the war, but returned to Korea for patrol duty at the end of major combat operations. The 24th Division was among the 200,000 men of the Sixth Army moved to recapture Luzon to helped the regular and constable troops of the Philippine Commonwealth Army and Philippine Constabulary from the Japanese 14th Area Army, which fought delaying actions on the island. The division's 34th Infantry Regiment landed at San Antonio, Zambales on 29 January 1945 and ran into a furious battle on Zig Zag Pass, where it suffered heavy casualties. On 16 February 1945 the 3rd Battalion, 34th Infantry took part in the amphibious landing on Corregidor and fought the Japanese on the well-defended island. The rest of the division landed at Sablayan, Mindoro on 19 February, cleared the remainder of the island and engaged in numerous mopping up actions during the following month. 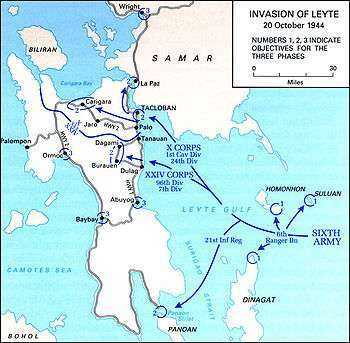 These operations were complete by 18 March, and the division moved south to attack through Basilan. the division landed at Mindanao on 17 April 1945 and cut across the island to Digos until 27 April, stormed into Davao on 3 May, and cleared Libby airdrome on 13 May. Although the campaign officially closed on 30 June, the division continued to clear up Japanese resistance during July and August 1945. The 24th Infantry Division and the Philippine Commonwealth military patrolled the region until the official surrender of Japan ended the war. On 15 October 1945 the division left Mindanao for occupation duty on mainland Japan. On 25 June 1950, 10 divisions of the North Korean People's Army launched an attack into the Republic of Korea in the south. The North Koreans overwhelmed the South Korean Army and advanced south, preparing to conquer the entire nation. The UN ordered an intervention to prevent the conquest of South Korea. U.S. President Harry S. Truman ordered ground forces into South Korea. The 24th Infantry Division was closest to Korea, and it was the first US division to respond. The 24th Division's first mission was to "take the initial shock" of the North Korean assault, then try to slow its advance until more US divisions could arrive. Five days later, on 30 June, a 406-man infantry force from 1st Battalion, 21st Infantry Regiment, supported by a 134-man artillery battery (also from the 24th Infantry Division) was sent into South Korea. The force, nicknamed Task Force Smith for its commander, Lieutenant Colonel Charles Smith, was lightly armed and ordered to delay the advance of North Korean forces while the rest of the 24th Infantry Division moved into South Korea. On 4 July, the task force set up in the hills north of Osan and prepared to block advancing North Korean forces. The next day, they spotted an incoming column of troops from the North Korean 105th Armored Division. The ensuing battle was a rout, as the Task Force's obsolescent anti-tank weapons and understrength units were no match for the North Koreans' T-34 Tanks and full-strength formations. Within a few hours, the first battle between American and North Korean forces was lost. Task Force Smith suffered 20 killed and 130 wounded in action. Dozens of US soldiers were captured, and when US forces retook the area, some of the prisoners were discovered to have been executed. According to recently declassified documents the troops were captured and taken to Pyongyang where they are thought to have been murdered about three months later. Approximately 30 percent of task Force Smith became casualties in the Battle of Osan. The task force delayed the North Korean forces' advance for only seven hours. The rest of the 24th Infantry Division arrived in South Korea, through the port of Pusan, followed by elements of the 1st Cavalry Division and 25th Infantry Division from the Eighth Army. As more soldiers arrived, the 24th Infantry Division was placed under the command of I Corps, Eighth Army. For the first month after the defeat of Task Force Smith, 24th Infantry Division soldiers were repeatedly defeated and pushed south by the North Korean force's superior numbers and equipment. 24th Infantry Division soldiers were pushed south at and around Chochiwon, Chonan, Pyongtaek, Hadong, and Yechon. The division's 19th and 34th regiments engaged the North Korean 3rd Infantry Division and the North Korean 4th Infantry Division at the Kum River between 13 and 16 July and suffered 650 casualties of the 3,401 men committed there. The next day, the North Korean divisions attacked the 24th Infantry Division's headquarters in Taejon and overran it in the Battle of Taejon. In the ensuing battle, 922 men of the 24th Infantry Division were killed and 228 were wounded of 3,933 committed there. Many soldiers were missing in action, including the division commander, Major General William F. Dean, who was captured and later won the Medal of Honor. On 1 August, the 24th Division's 19th Infantry Regiment engaged North Korean forces and was again forced back, losing 90 killed. North Korean officers at the battle claimed that some US soldiers were "too frightened to fight." However, the 24th Infantry Division managed to delay the advancing North Koreans for two days, long enough for significant numbers of UN forces to arrive in Pusan and begin establishing defenses further south. By the time the 24th Infantry Division retreated and reformed, the 1st Cavalry Division was in place behind it. The division suffered over 3,600 casualties in the 17 days it fought alone against the 3rd and 4th North Korean divisions. By 4 August, a perimeter was established around Pusan on the hills to the north of the city and the Naktong River to the west. The Eighth Army, including the 24th Infantry Division, was cornered by the surrounding North Korean army. With UN forces concentrated and North Korean supply lines stretched out, the 24th Infantry Division halted the advance of the North Koreans. The 24th Division was at Naktong, with the 25th Infantry Division to the south, and the 1st Cavalry Division and South Korean forces to the north. The 24th Division was also reinforced by the 2nd Infantry Division, newly arrived in the theater. The 24th was quickly sent to block the North Korean 6th Infantry Division, which attempted to attack the UN forces from the southwest. On 8 August, the North Korean 4th Infantry Division crossed the river and attempted to penetrate the perimeter. After 10 days of fighting, the 24th Infantry Division counterattacked and forced the North Koreans back across the river. By late August 1950, only 184 of the 34th Regiment's original 1,898 men remained. The regiment was dissolved and was replaced within the 24th by the 5th Regimental Combat Team. The 34th Regiment's survivors were added to the ranks of the 19th and 21st regiments in an effort to bring them up to strength, and the 5th Infantry remained with the 24th Division until the division withdrew from Korea. Elements of the 24th Infantry Division were moved into reserve on 23 August and replaced by the 2nd Infantry Division. A second, larger North Korean attack occurred between 31 August and 19 September, but the 2nd, 24th, and 25th infantry divisions and the 1st Cavalry Division beat the North Koreans back across the river again. At the same time, X Corps, with the 7th Infantry Division and 1st Marine Division, attacked Incheon, striking the North Korean army from the rear. The attack routed the surprised North Koreans, and by 19 September, the Eighth Army pushed out of the Pusan Perimeter and advanced north. The 24th Infantry Division advanced to Songju, then to Seoul. The Army advanced north along the west coast of Korea through October. By mid-October, the North Korean Army had been almost completely destroyed, and US President Harry S. Truman ordered General MacArthur to advance all units into North Korea as quickly as possible to end the war. The 24th Infantry Division, with the South Korean 1st Infantry Division, moved to the left flank of the advancing Eighth Army, and moved north along Korea's west coast. The 24th Division then moved north to Chongju. On 1 November, the division's 21st Infantry captured Chonggodo, 18 miles from the Yalu River and Korea's border with China. Units of the Eighth Army and X Corps spread out as they attempted to reach the Yalu and complete the conquest of North Korea as quickly as possible. On 25 November, the Chinese entered the war in defense of North Korea. The People's Liberation Army force, which totaled 260,000 troops, flooded into North Korea and caught the Eighth Army by surprise. Chinese forces crushed the UN and South Korean forces with overwhelming numbers, surrounding and destroying elements of the US 2nd Infantry Division, 7th Infantry Division, and South Korean forces. The 24th Infantry Division, on the west coast of the Korean peninsula, was hit by soldiers from the 50th and 66th Chinese field armies. Amid heavy casualties, the Eighth Army retreated to the Imjin River, south of the 38th parallel, having been devastated by the overwhelming Chinese force. On 1 January 1951, 500,000 Chinese troops attacked the Eighth Army's line at the Imjin River, forcing it back 50 miles and allowing the Chinese to capture Seoul. The 24th Infantry Division was then reassigned to IX Corps to replace the 2nd and 25th Infantry Divisions, which had been placed in reserve due to heavy losses. The Chinese eventually advanced too far for their supply lines to adequately support them, and their attack stalled. General Matthew B. Ridgway ordered I, IX, and X Corps to conduct a general counteroffensive on the Chinese (Operation Thunderbolt) quickly thereafter. 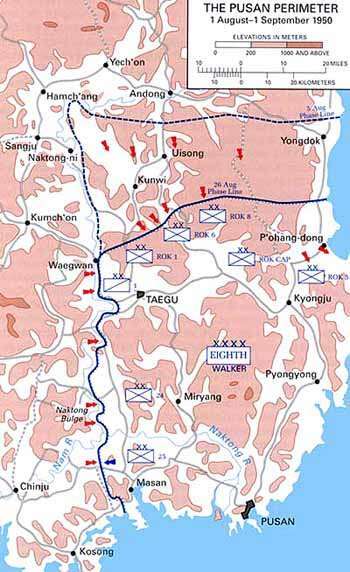 The 24th Division, as part of IX Corps, advanced along the center of the peninsula to take Chipyong-ni. The corps ran into heavy resistance and fought for the region until February. Between February and March 1951, the 24th Infantry Division participated in Operation Killer, pushing Chinese forces north of the Han River. This operation was followed by Operation Ripper, which recaptured Seoul in March. After this, operations Rugged and Dauntless in April saw the division advance north of the 38th parallel and reestablish itself along previously established of defense, code named Kansas and Utah, respectively. In late April, the Chinese launched a major counterattack. Though the 24th and 25th Infantry Divisions were able to hold their ground against the Chinese 9th CPV Army Corps, the South Korean 6th Infantry Division, to the east, was destroyed by the 13th CPV Army Corps, which penetrated the line and threatened to encircle the 24th and 25th divisions. The 1st Marine Division and 27th British Commonwealth Brigade were able to drive the 13th Army Corps back while the 24th and 25th divisions withdrew on 25 April. The UN forces' line was moved back to Seoul but managed to hold. In September, the UN forces launched another counteroffensive with the 24th Infantry Division at the center of the line, west of the Hwachon Reservoir. Flanked by the South Korean 2nd and 6th Divisions, the 24th advanced past Kumwha, engaging the 20th and 27th CPV Armies. In November, the Chinese attempted to counter this attack but were unsuccessful. It was at this point, after several successive counteroffensives that saw both sides fighting intensely over the same ground, that the two sides started serious peace negotiations. In January 1952, the 24th Infantry Division, which suffered over 10,000 casualties in 18 months of fighting, was redesignated as the Far East Theater reserve and pulled out of Korea. It returned to Japan to rebuild. The 34th Infantry Regiment was reconstituted, and the division returned to full strength during the next year, having been replaced in Korea by the 40th Infantry Division of the California Army National Guard. In July 1953, the division returned to Korea to restore order in prisoner of war camps. It arrived two weeks before the end of the war. On 1 July 1958 the division was relocated to Augsburg, Germany, replacing the 11th Airborne Division in a reflagging ceremony. The 24th was organized under the Pentomic Division TO&E, in which its combat forces were organized into five oversized battalions (called "battle groups") with no intermediate brigade or regimental headquarters. Although considered an infantry division, the 24th included two airborne battle groups for several months. The 1st Airborne Battle Group, 503rd Infantry left the division for reassignment to the 82nd Airborne Division at Fort Bragg on 7 January 1959 and the 1st Airborne Battle Group, 187th Infantry departed on 8 February 1959, also for the 82nd. On the night of 15 July, U.S. Marines from the Sixth Fleet landed at Beirut and secured the Beirut airport. 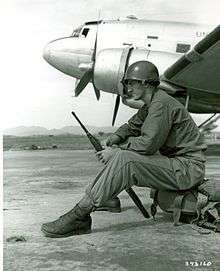 The following day, the 24th Division's 1st Airborne Battle Group, 187th Infantry deployed to Turkey and flew to Beirut on 19 July. They were joined by a medium tank battalion (seemingly 3rd Battalion, 35th Armor Regiment) and support units, which assisted the Marines in forming a security cordon around the city. The force stayed until late October, providing security, making shows of force, including parachute jumps, and training the Lebanese Army. When factions of the Lebanese government worked out a political settlement, they left. The 24th Division's 1/187th lost one soldier killed by a sniper. In January 1963, the 24th was reorganized as a mechanized infantry division under the Reorganization Objective Army Division (ROAD) TO&E, which replaced the pentomic battle groups with conventional-sized battalions organized in three combined arms brigades. The 169th Infantry Brigade, previously assigned to the 85th Infantry Division was redesignated the 1st Brigade, 24th Infantry Division. The 85th Division's 170th Infantry Brigade was redesignated the 2nd Brigade, 24th Infantry Division. The 190th Infantry Brigade, previously assigned to the 95th Infantry Division, became the 3rd Brigade, 24th Infantry Division. In 1965, the 24th Infantry Division received its distinctive unit insignia. In September 1975, the 24th Infantry Division was reactivated at Fort Stewart, Georgia, as part of the program to build a 16-division US Army force. 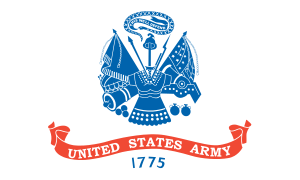 Because the Regular Army could not field a full division at Fort Stewart, the 24th had the 48th Infantry Brigade of the Georgia Army National Guard assigned to it as a round-out unit in place of its 3rd Brigade. Targeted for a North Atlantic Treaty Organization (NATO) role, the 24th Division was reorganized as a mechanized division in 1979. It was one of several divisions equipped with new M1 Abrams tanks and M2 Bradley Fighting Vehicles that formed the core of the U.S. Army's heavily armored mechanized force for the 15 years that followed. 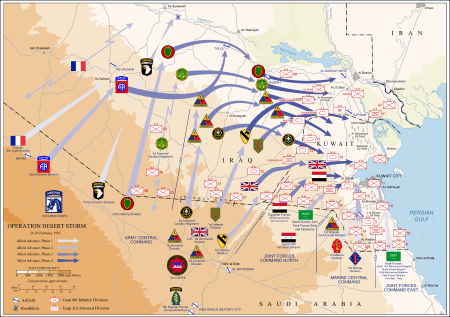 When the United Nations intervened in Kuwait in 1990, the 24th Infantry Division, which was part of the Rapid Deployment Force, was one of the first units deployed to Southwest Asia. It arrived in 10 large cargo ships of the US Navy Sealift Command. Advance elements of the 24th Division began arriving in Saudi Arabia on 17 August. Some controversy erupted when the division's round-out unit, the 48th Infantry Brigade (Mechanized), of the Georgia National Guard, was not called up for service. Army leaders decided that the use of National Guard forces was unnecessary, as they felt the active-duty force had sufficient troops. The 48th Brigade was replaced once the 24th Division was in Saudi Arabia with the regular Army's 197th Infantry Brigade (Mechanized). The 24th Division was then assigned to XVIII Airborne Corps as the corps' heavy-armored division. Operation Desert Storm began with an extensive aerial bombing campaign on 17 January 1991. 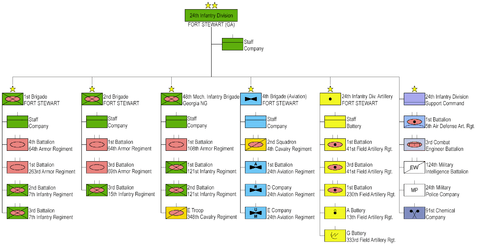 When the ground attack commenced on 24 February, the 24th Infantry Division formed the east flank of the corps with the 3rd Armored Cavalry Regiment. It blocked the Euphrates River valley to cut off Iraqi forces in Kuwait and little resistance. At this time, the 24th Division's ranks swelled to over 25,000 troops in 34 battalions, commanding 94 helicopters, 241 M1 Abrams tanks, 221 M2 Bradley Armored fighting vehicles, and over 7,800 other vehicles. The 24th Infantry Division performed exceptionally well in the theater; it had been training in desert warfare for several years before the conflict. On 26 February, the 24th Division advanced through the valley and captured Iraqi airfields at Jabbah and Tallil. At the airfields, it encountered entrenched resistance from the Iraqi 37th and 49th Infantry Divisions, as well as the 6th Nebuchadnezzar Mechanized Division of the Iraqi Republican Guard. Despite some of the most fierce resistance of the war, the 24th Infantry Division destroyed the Iraqi formations and captured the two airfields the next day. The 24th then moved east with VII Corps and engaged several Iraqi Republican Guard divisions. To expand upon the concept of Reserve component and National Guard components, the First Army activated Division East and Division West, two commands responsible for reserve units' readiness and mobilization exercises. Division East activated at Fort Riley. This transformation was part of an overall restructuring of the US Army to streamline the organizations overseeing training. Division East took control of reserve units in states east of the Mississippi River, eliminating the need for the 24th Infantry Division headquarters. As such, the 24th Infantry Division was subsequently deactivated for the last time on 1 August 2006 at Fort Riley. 1 2 3 4 5 6 7 8 "24th Infantry Division: "Victory Division"". globalsecurity.org. Archived from the original on 10 June 2009. Retrieved 14 June 2009. 1 2 "The Institute of Heraldry: 24th Infantry Division". The Institute of Heraldry. Retrieved 10 June 2012. ↑ Furtado, Mary (May 2007). "Pearl Harbor Remembered..." (PDF). Green Mountain Guard. 7 (8): 8. ↑ Zimmerlee, John (October 2012). "Already forgotten before the war even ended". Retrieved 30 March 2013. ↑ "President Bush Attends Medal of Honor Ceremony for Woodrow Wilson Keeble". The White House, Office of the Press Secretary. 3 March 2008. Retrieved 20 May 2008. ↑ "US Army History: 503rd Infantry". US Army. Archived from the original on 12 June 2010. Retrieved 2 July 2010. ↑ "US Army History: 187th Infantry". US Army. Archived from the original on 12 June 2010. Retrieved 2 July 2010. 1 2 3 Olinger, Mark A. (May–June 2005). "Airlift operations during the Lebanon crisis: airlift of a Marine Corps battalion to Lebanon demonstrated that deploying contingency forces from the continental United States to an overseas operation was feasible and expeditious". Army Logistician. Retrieved 19 May 2008. 1 2 Schoenwald, Jonathan M. (2001). A Time for Choosing: Extremism and the Rise of Modern American Conservatism, 1957–1972. Oxford University Press. pp. 100, 105–6. ISBN 0-19-513473-7. Retrieved 23 January 2009. ↑ "Memorandum for Reserve Component Command". United States Army Forces Command. Retrieved 2 May 2009. ↑ "Report to the Secretary of Defense (2000)". United States Department of Defense. Retrieved 3 May 2009. ↑ "Lineage and Honors Information: 24th Infantry Division". United States Army Center of Military History. Retrieved 14 June 2009. 1 2 "First Army Division West: About Us". First United States Army Public Affairs. Retrieved 3 May 2009. ↑ "Senator Roberts welcomes Big Red One home to Kansas". Kansas State Government. Retrieved 25 August 2009. Kraus, Theresa L.; Frank N. Schubert (1995). The Whirlwind War: The United States Army in Operations Desert Shield and Desert Storm. Washington, D.C.: Diane Publishing Company. ISBN 978-0-7881-2829-5.